You can’t properly explore Hamburg without the water. While the second largest city in Germany has many layers (as discussed here in my post on Hamburg’s neighbourhoods), none of them would exist if it wasn’t for the port here. It has been the lifeblood of the city for centuries and continues to influence it in so many ways. Hamburg’s port was first established in the 12th century and grew from there. It was integral to the trade of Europe and eventually as a hub for passenger ships. These days it is the second largest (or third largest, depending on what measure you use) port in Europe and is considered to be ‘Germany’s gateway to the world’. Almost 10 million containers were handled in Hamburg last year. It’s not simply about the statistics or the trade, though. The port is constructed around the Elbe River and the waterway is used for everyday transportation, leisure activities, and historical monuments. For residents and tourists alike, it offers a special and authentic way to see Hamburg. Walking along the riverside, catching a ferry along the water superhighway, traversing the canals. There are plenty of ways to get into the flow. 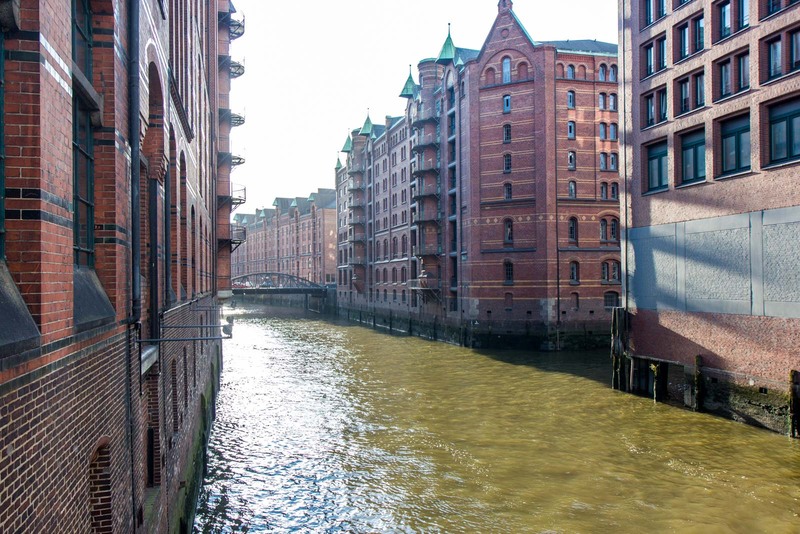 Let me tell you about some of the best things to do in Hamburg involving the water. Hopefully they will whet your appetite (see what I did there?). The best place to start is at the International Maritime Museum, which has an extremely impressive collection. More than 40,000 items are displayed over 10 floors and it would be easy to spend hours in the museum. The exhibitions trace maritime history from the early days of prehistoric man, through the European colonial years, the naval stories of war, and even up to the luxury cruise liners of today. While there is a particular emphasis on German history, there are collections from around the world. It’s fascinating and is well laid out for both children and adults. The International Maritime Museum is right in the middle of the Speicherstadt, a part of Hamburg that was recently named a World Heritage Site. It is the warehouse district for the port and was built in in the late 19th and early 20th centuries. These old warehouses are situated on small canals so that boats could come in from the big container ships and unload goods into the warehouses with cranes. The goods were then able to be taken out by road to other parts of Germany or Europe. The architecture of the buildings is beautiful and it’s a great area to walk around. Most of the old warehouses are used for other purposes now, including offices. This is also where the wonderful Miniatur Wunderland is located. About six kilometres along the river from the Speicherstadt is a small museum called the Museumshafen Oevelgönne. It’s not your typical museum because it doesn’t really have a building. 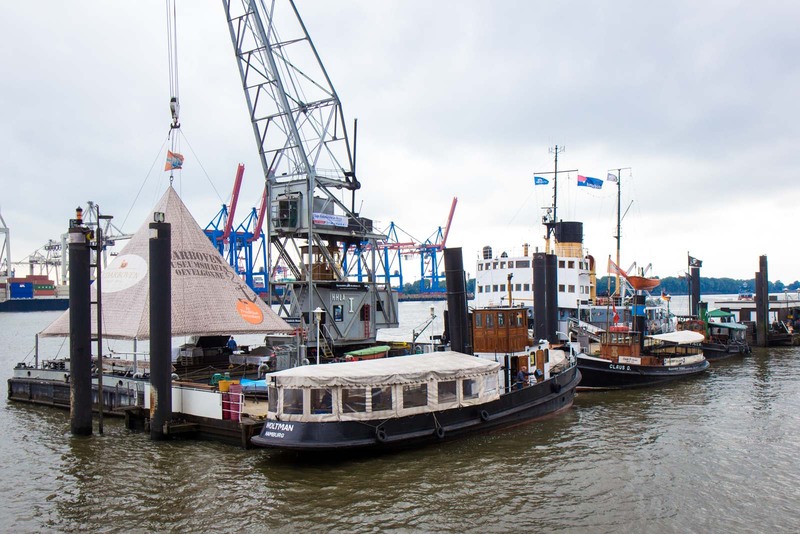 It’s actually made up of about 20 old boats that have been restored and then moored together on the bank of the Elbe River. Most of the boats are from the period between 1880 and 1960 and played an important role in the functioning of the port – tug boats and barges, for instance. Many of the ships were found as wrecks and it took a long time to restore them. The most interesting way to get to the Museumshafen Oevelgönne is by ferry along the river. This gives you a great perspective of many of the buildings that are along the shoreline. One of the things you’ll notice is that the architecture has often been inspired by maritime themes. Some of the buildings have been designed to resemble boats or other important historical buildings from Hamburg’s history. Once you’re at the Museumshafen Oevelgönne, it’s worth taking the time to walk along the path to the east to discover one of Hamburg’s hidden gems – its beaches! On a sunny day, the sandy stretches here are perfect for a bit of a break and offer a great location for watching the ships come in and out of the port. There’s a beach bar called Strandperle that serves beer to tables on the sand. If you’re hungry, make sure you also try one of the delicious fish sandwiches that Hamburg is famous for. Hamburg’s port is busy. Really busy. And that means it’s in operation day and night. A really cool way to see some of the working parts of the port is on a night cruise. Not only does everything look a bit different once the sun has gone down, one of these tours will take you to areas that aren’t easily visible from the city. You’ll get to see the huge ships, the machines unloading the containers, and the docks where they do repairs. You’ll also get a pretty cool view from the water of the city all lit up. The cruises leave from the piers at Landungsbrücken. And, finally, an exploration of Hamburg’s maritime sights would not be complete without an early morning stop at the Fish Markets. They are only open on Sundays and all the action happens between 5am – 9:30am. The party area of Reeperbahn is nearby so, in the early hours, you’re likely to find some people coming straight here from the clubs for something to eat. But, as the sun comes up, the fish markets are popular with families and other locals who come for some shopping or to get some breakfast. Hamburg is a city I never really considered visiting, but it looks similar to my home town Rotterdam. I really enjoy exploring harbours and Hamburg’s harbour looks great; especially the night tour sounds (and looks) great! It’s so funny you should say that. I kept comparing it to Rotterdam as well. It’s not just because they have the ports but because I think that maritime history creates a certain type of city that is much more liberal and worldly than places that were historically more isolated. Nice post. It’s good to learn about the maritime history of each culture because waterways have played such a huge and important role in societal development over the ages and the relationship between cities and their bodies of water are so unique and interesting. The night tour looks like a beautiful and magical way to observe the city. We don’t give much consideration to maritime matters these days because most people use planes or trains to get around and we think that goods just miraculously appear in our city from somewhere. But for centuries the economies of the world were based around ports and where ships could sail to! Hi Piotr. Thanks for the question. I use a Canon 600D (which is fairly entry level) and now I have a lens which is 17-55mm with a 2.8 fstop. Writing a post about my gear is a great idea – I’ll try to get it done at some point!